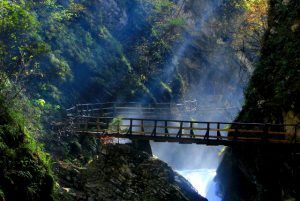 The Vintgar gorge is 1600 m long and till 250 m deep gorge on the eastern part of Triglav National Park, 4 kilometers northwest from the center of Bled. The Pokljuka plateau is a treasure trove of natural wonders, the best-known of which is the Pokljuka Gorge. 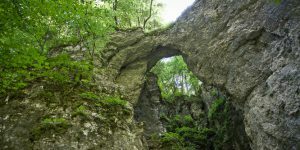 This nearly 2 km-long ravine is a remnant of a stream which, at the end of the last Ice Age cut up to 50 metres deep into the limestone slopes above the Radovna.The waters gradually flowed away and the stream withdrew into the underground, leaving behind the largest dry fossil gorge in Slovenia. Poglej church is overhanging cave with a small cavern in the outskirts of village Poljšica near Zgornje Gorje. 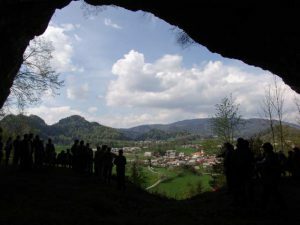 This natural cave was hollowed out when theTriglav glacier retreated. 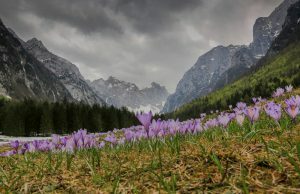 Named after Triglav (2,864m), a mountain carrying great symbolic weight for Slovenians, Triglav National Park is one of the oldest parks in Europe, with the first efforts to protect the area dating back to 1906. 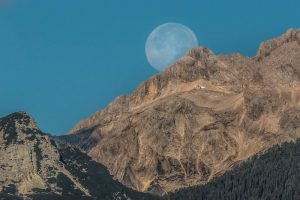 It spans nearly 84,000 hectares, almost the entire area of the eastern Julian Alps.